When you first begin healthy cooking that's free of fat, salt, and sugar, you're apt to feel lost. Get tips that get rave reviews at Pritikin. Learning how to season with herbs, spices, and other condiments is the key to preparing tasty dishes. 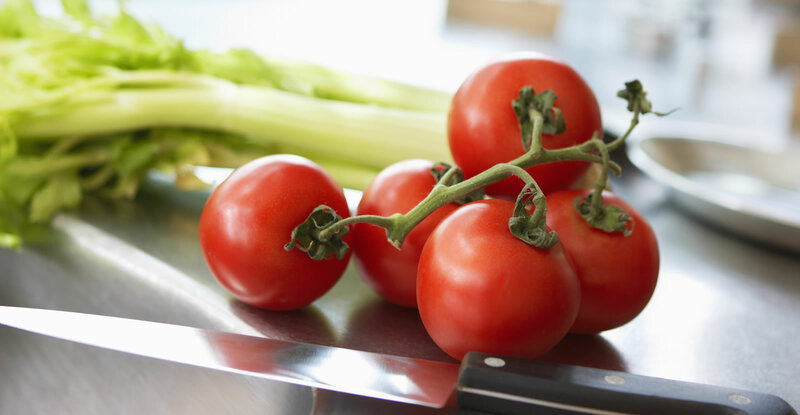 And it's a lot easier than you might think, Here are 7 of our chefs’ tips for healthy cooking loaded with great flavor. To get a good sear on your food, from fish to veggies, don’t cook a lot of servings at once. “You don’t want to overcrowd the pan,” explains Pritikin Executive Chef Anthony Stewart. Also, make sure your pan is very hot. Once hot, put your servings in. Then leave them alone. Do not turn them or stir them until you see some browning about one-quarter of the way up. Once vegetables and herbs are cut, they start to lose their flavor. So don’t cut them too long in advance. The closer to healthy cooking time, the better. For healthy cooking of soups and stews, don’t boil them. “Boiling will make all your ingredients break apart and turn to mush,” cautions Chef Anthony. To retain flavor and structure, cook slowly at low-to-moderate temperatures. Wait till the end of cooking to add most varieties of fresh herbs, particularly the softer ones like basil, Italian parsley, dill, and cilantro. You’ll get the most flavor. “Herbs are living. The fresher they are, the more flavor you’ll get,” says Anthony. Woodier ones like rosemary and sage, however, should be added toward the beginning of cooking. Most recipes call for marinating in the refrigerator, often an hour or two. If you need something to take the flavor on faster, marinate your food at room temperature; it will cut marinating time by about one-third. Of course, for safety reasons, don’t leave animal protein like seafood and chicken out on the kitchen counter for too long. Want to prepare a salad, like a coleslaw, ahead of time? Go ahead and get all the ingredients ready – cut the cabbage and make the dressing – but don’t combine the veggies and dressing till just before you sit down to eat. It’ll keep the crunch in your salad. For a softer salad, let the combined dressing and veggies sit for longer than 30 to 60 minutes. We’d all love to be as free-wheeling as the Rachel Rays and Mario Batalis of the world, but you can bet that even the most seasoned chefs carefully study a recipe’s procedure when the camera’s not on them, especially when trying out a new recipe.